Average price for a phone Samsung Galaxy A6 (2018) is 201.88 EUR. Samsung Galaxy A6 (2018) currently costs from 122.35 EUR to 293.88 EUR. 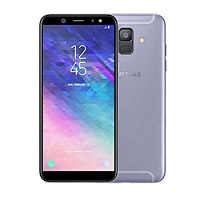 Average price for a phone Samsung Galaxy A6 (2018) is 154.35 EUR. Samsung Galaxy A6 (2018) currently costs from 107.53 EUR to 216.24 EUR.